It’s always exciting when you can find an older version of something new and trending. 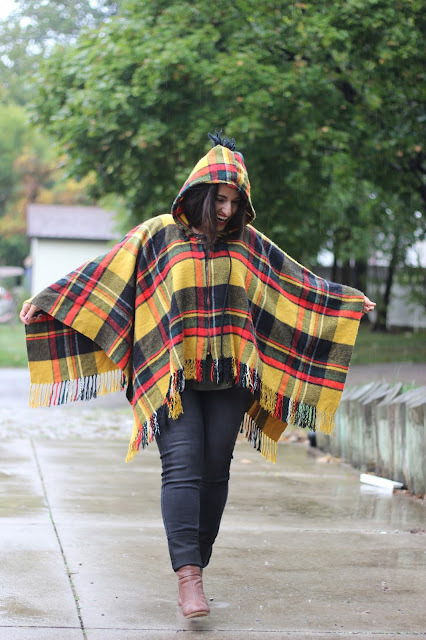 I didn’t think I’d ever find another poncho similar to last the one I found last year. This year’s find is pretty darn awesome. I mean it has a hood. And fluff on the hood. 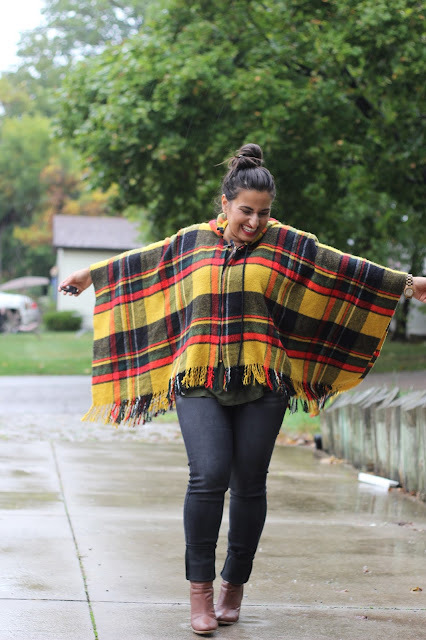 Plaid, ponchos, and the offspring of the two (plaid ponchos) seem to be the it thing for fall. They are cute, cozy, and most importantly functional. Target and Old Navy have great affordable styles but check your local thrift store too. I found this vintage “King of Ponchos” (that’s the brand on the tag!) for $4 at the Village Discount Outlet in Akron. But they also have new goods, which means the items are brand new, never worn styles for only $13. Plaid is a thrift store staple. It’s a timeless print and comes back season after season so you’re bound to find at least one plaid item. Plus, it’s extremely versatile. I like to wear my ponchos with a smaller bottom like skinny jeans but depending on the style, sometimes I can get away with wearing it with wide leg pants. I’ll share an example next week or check it out on Instagram! (@dinasdays). Also, I like to let poncho do all the talking. It’s such a busy, loud piece that I try to keep the rest muted and the accessories to a minimum. 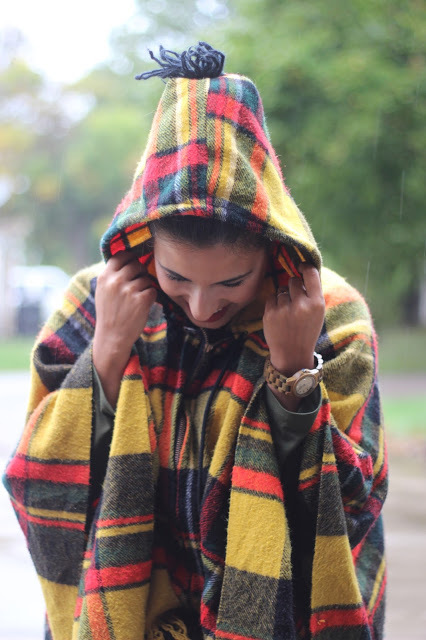 How do you like to style your ponchos?